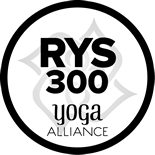 Yoga Bloom® Training – Yoga Bloom is a Member School registered with Yoga Alliance®, the international registry of Certified Yoga Teachers. 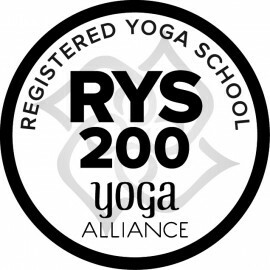 You will be qualified as 500RYT after curriculum is completed and able to register with Yoga Alliance. You will receive a Yoga Bloom 500RYT Yoga Preventative Health Specialist Certification by completing the FULL 500 Hour Yoga Bloom LAB Teacher Training. This is recognised by Yoga Alliance at the highest levels of certification. Yoga Bloom® Specialty Programs are uniquely recognized for it’s convenient modular system, long study periods and thorough education, internationally recognised faculty and quality of curriculum.Yoga Bloom® curriculum covers the theoretical and practical sides of yoga, and consists of Contact and Non Contact Hours, along with Practicum, Tracking and Assessment, along with Personal One-on-One Mentoring. Hours include asana and pranayama observation, practice, therapeutic methodologies, anatomy, physiology, and hands-on teaching under the guidance of Core Faculty. Specialty Programs, including 100Hour Art & Science of Restorative Yoga fulfills Yoga Alliance Standards. 200 hours of intensive with Cora Wen and AN ADDITIONAL 100 hours of approved Yoga Education Electives will give you a certification with Yoga Bloom®, and a RYT500 Yoga for Preventative Health Specialist; able to register with Yoga Alliance. If you are currently a 200RYT, you will have 500RYT Yoga Therapist status with Yoga Alliance with all requirements fulfilled. Classroom hours and mentoring one-on-one is available to develop deeper understanding of applications in yoga, and how to work with practitioners in clinical environments.